Your message Sunday was, heart truth, as is every message I have heard from you. Even though I heard it in person I have to listen again on our website every time. Thank you so much Bobbie. Great stuff. Knowing our shared roots in the Stone-Campbell world and the particulars of my on theological education, formal and informal, all this makes great sense. It is encouraging to be in touch with others who’ve moved away from a propositional approach to truth. I remember hearing Parker Palmer say in a presentation about reforming theological education, that the root words for truth and troth are the same. Thats the old English “troth” I grew up hearing in wedding vows, “and thereto I pledge thee my troth.” Palmer’s point is as yours below, insisting that truth is relational and lived – in generosity, compassion, forgiveness, faithfulness, truth-telling, inclusion, hope, etc. A part of my journey now involves not judging myself for the years that I walked unquestioningly and confidently in the arena of propositional truth as the only way to appease a pissed-off God, and relating in honest and gracious ways to those who are still at home in that world. I look forward to listening to the sermon. Oh Michael, this made me cry. To have someone from my old world who understands is priceless! Paula, thank you for a very touching post. It is a little overwhelming to realise the messiness of life is where our God is. And for some of us it can only be seen when we lose some of our male certainly. 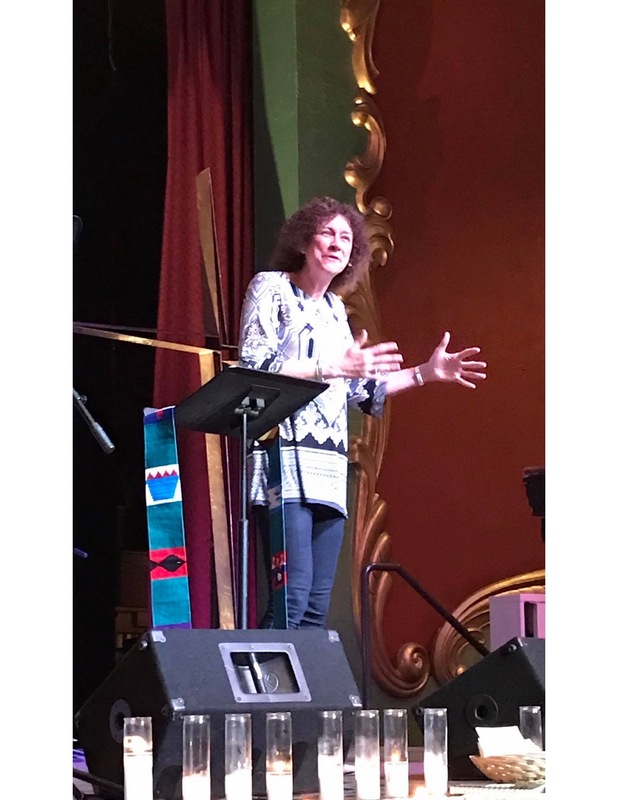 As a retired Mennonite (now Episcopalian) woman pastor, I can readily identify with the difference in preaching presentation….male vs. female. Much easier for us to address the ordinary instead of trying to impress with deeply academic presentation. I think we tend to be less respected than male pastors as well. Men are addressed as Pastor, Rev., Rector, etc. Women usually by a first name. In pastoral meetings where I was the only woman, my suggestions/thoughts were ignored only to be repeated 30 minutes later by a male and accepted. Thanks for sharing your insights…..very meaningful.